Styling super-straight hair might feel somewhat limiting, especially if your hair is naturally on the less wavy or curly side. But with the right kind of styling, your hair could yet discover its most glamorous look. From playful cropped ‘dos to luscious hip-length tresses, there are actually no limits to what you can do with your straight mane. And we’ll show you the best hair inspirations to get you started. Nobody rocks the pin-straight looks quite like the reality TV mogul, Kim Kardashian West. 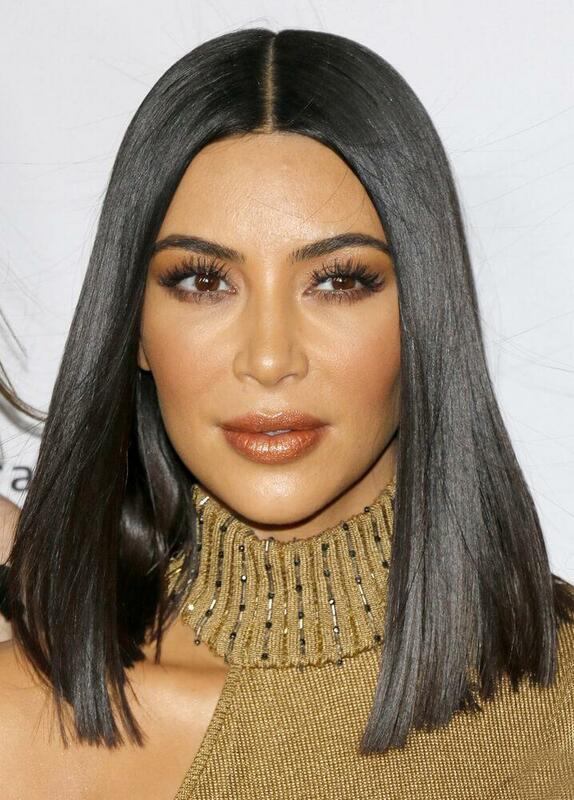 The Keeping Up With The Kardashians star is known for frequently switching up her poker-straight ‘dos, among them this sleek, sensual lob. To recreate this on-trend look, start off with clean, freshly shampooed hair. Apply a leave-in conditioner to achieve a sleek, smooth finish. Next, take a comb and create a precise parting right down the middle of your scalp. Grab a wide brush and begin blow-drying your hair, blasting it downwards to endure your tresses are as flat as possible. If your hair is naturally straight, blow drying it might be enough to achieve that perfect pin-straight effect. However, people whose mane is more on the curly or wavy side might need extra help achieving the smooth perfection. If this is the case, take a hair straightener and proceed to straighten your locks in one-inch sections until your entire hair is completely straight. Blast it with medium-hold hairspray from an arm-length distance to ensure longevity while avoid the overly stiff effect. Straight mane can look instantly interesting when you add bangs into the equation. And if you need inspiration on how to sport the bang-adorned straight mane, you can find inspiration in Emma Stone, who always manages to pull of this look fabulously. To create your own lob with bangs combo, begin with clean, damp hair. Adjust your blow drier to medium heat and begin blasting your hair, using a wide barrel brush to style it, twisting the strands towards the face as you reach the tips. Take a smaller round brush with boar bristles and begins styling your bangs, pushing them downwards and towards the face. You can stop here if you’re happy with the way your mane looks, but if you want extra definition, you can grab a flat iron and style your tresses by moving the straightener downwards and towards the inside at the very tips. Avoid using the straightener on your bangs, as you might end up with overly dry, stiff appearance. Once you’re finished, spritz a medium-hold spray all over your mane and your coif is good to go. If your tresses are naturally straight, then a great go-to when you want to be cute and practical at the same time is definitely the perked up ponytail. Just look at Ariana Grande, the unrivaled queen of the sleek, pulled back pony. To achieve your own Ariana-esque up-do, start of with damp hair. Apply anti-frizz styling product to ensure a smooth texture and make your strands easier to work with. Blow dry your hair, blasting the hot air using a wide round brush to style your strands so they’re smooth and straight. If your hair needs and extra dose of straightening after you’ve blow dried it, grab a flat iron and glide it down your strands until it’s nice and sleek. Tip your hair over your head and use your hands to scoop it up into a pony tail. Secure the pony tail with a hair tie. Finally, spritz a tiny amount of hair spray onto a clean tooth brush or makeup brush, then swipe it across the flat part of your ‘do to ensure you don’t end up with any stray pieces. Blast the pony with a touch of texturizing spray to give it more volume and – bam – your quick and easy up-do is good to go! If your hair is on the shorter side, you might not have enough length to style your mane into all these ponies and buns. However, a straight cropped ‘do can look just as chic – as long as you know how to style it right. 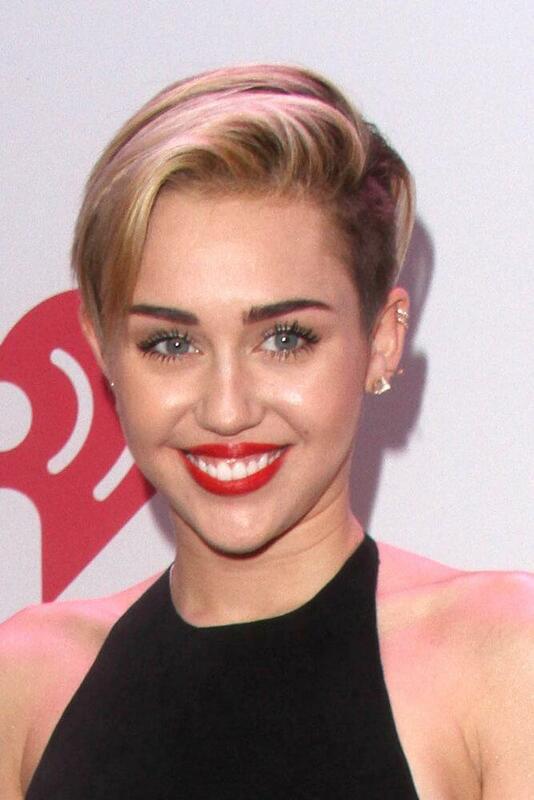 A bob that’s shorter in the back and longer up front can be incredibly flattering for just about every face shape. Moreover, this sleek, timeless coif can work amazing for all kinds of occasions: from office settings to lunch dates to ultra-glam nights out. And here’s how to style your own! Start with damp hair. Take a golf ball-sized amount of hair mousse and rub it into the roots of the hair to give it a boost of volume. Then, blast your hair with a hair dryer. You can tip the hair over your head, then blow dry the back part of your scalp for even more voluminous strands. Create a deep side part, then grab a texturizing spray or dry shampoo to make your locks look more dynamic. Tousle the hair with your fingers, then give it an all-over spritz of hair spray to top off the look. Rocking a long, pin-straight do is never a bad idea, but what happens if you want to preserve the length without getting your hair all up in your face? The solution is to go for a half up-do, which will not only keep those pesky front strands away from your face, but will also give a fresh and youthful vibe to your long coif. Blow dry your hair with a wide brush, making sure it’s frizz-free and straight. If you’re not still not satisfied with the level of sleekness, you can apply heat protectant, then run a flat iron over your strands. Grab two smaller strands of hair just behind the front ones. Let the very front strands fall loose to frame the face. Backcomb your hair behind the two sections, so they appear more voluminous. Pull the two sections away from your face until they meet at the back of your head. Secure them with a small hair tie or, alternatively, pin them down using bobby pins. Give the entire do a light spritz of hair spray and your vibrant half up-do is ready to go. We all love top knots – they are always there as the last resort when you don’t know what to do with your tresses. And while we’re all well acquainted with those nonchalant, messy boho-style buns, recent hair trends have seen the rise of the ultra-polished top knot. And one of its biggest fans is the supermodel Bella Hadid, who can often be seen sporting this very style – whether that’s on fashion runways, red carpets or while papped during coffee runs. There’s good news for the rest of us, too: this gorgeous and practical ‘do is incredibly easy to achieve. And the best of all, you don’t need to have a lot of length to rock this style. This iteration of the top knot does not require a lot of prep. If your strands are already straight, the only thing you can do is apply a touch of anti-frizz styling products to ensure super-smooth texture. Scoop your hair to the top of your hair, then begin twisting it, making sure you don’t leave out any stray strands. Wrap the twist around its base, then tie it with a hair band. Tuck away any lose hairs behind the bun and secure them with bobby pins. Give it a light spritz with a hairspray to make sure it stays put throughout the day. If you think there’s no way to make straight hair look head-turning and extravagant, you’d be dead wrong. As evidenced by styles rocked by celebrities and fashionistas, there is no shortage of dazzling wave-free locks that you can easily recreate at home. One of them is this lush ‘80s inspired ‘do which could be seen on celebrities from Khloe Kardashian to Gigi Hadid to Selena Gomez. This first step is to wash your hair, then pat it with a towel until it’s about half dry. Start blow drying your hair, using a small boar bristle brush to pull the strands upwards and away from the face. This kind of sculpting will help achieve the volumized look on top. Brush and blow dry the sides so they’re smooth and behind the ear. Pin the strands in the back with bobby pins to help perk up the crown. Next, grab a flat iron and go over the bottom part of your tresses, making sure they’re super straight and sleek. Add a touch of hair oil after you’ve finished straightening your tresses to create the wet effect. Grab the crown part and start back-combing it, sculpting your hair upwards until you’ve reached the desired height. Once you’re happy with the look, give it a good blast of strong-hold hairspray to make sure your luscious hair doesn’t budge. Ponytails are the quickest go-to when you want to move your tresses away from the face, but the classic up-do sometimes simply isn’t polished enough, especially if the occasion calls for a little more va va voom. Luckily there’s a style that’s just as easy to pull off; it will scoop up your hair while giving you that extra dose of glam. Start with damp hair, then blow dry it with a wide boar bristle brush to achieve smooth texture. Create a deep side part on your preferred side and brush the hair downwards. If you want to make it super-straight, spritz your hair with a heat protectant, then go over it with a flat iron once it is dry. Swoop up all the strands to the side of your parting with more hair. Section off a one-inch strand that will serve to camouflage your hair band. Grab a hair tie and secure your pony, flipping it over your shoulder. Take the extra strand you had set aside and wrap it around the hair tie, then tuck it in and secure it with a bobby pin. In case you have some frizz or a few unruly strands, spritz a bit of hairspray on a clean makeup brush and smooth out any imperfections. Who said rocking gorgeous straight tresses needs to involve Rapunzel-like length? On the contrary, having poker-straight locks can actually work to your advantage if your ‘do is already on the shorter side. For example, if you’re currently sporting a coif that shorter or completely buzzed off on the sides and longer on top, this styling idea might be ideal for you. Wash your ‘do, then pat it dry with a towel until it’s about halfway dry. Then, grab a generous amount of hair mousse and apply it all over your strands, focusing on the roots. Grab a hair drier and sculpt your hair towards one side, simultaneously pulling the strands up and outwards to create more volume and texture. If you’re hair isn’t completely straight, you can give it a run with a flat iron to achieve the smooth perfection, especially at the tips. When your coif is all styled, blast it with hairspray to make sure your ‘do stays fresh for the whole day. Now that you’ve had a chance to see all these fabulous straight ‘dos, you won’t have trouble styling your own mane into a sleek perfection. Whatever style or length you’re currently sporting, with a little bit of effort and a couple of trusty hair products, you’ll be well on your way to creating a gorgeous, pin-straight coif.